When summer rolls around and I ask myself what type of food I'm craving, the answer is always light, but satisfying meals that require minimal cooking - bonus points for not having to turn on the oven. I live in a small, studio apartment in San Francisco with old appliances and horrible ventilation; a combination that results in my apartment transforming into a sauna when the oven is on for any period of time. You can imagine how fantastic this is in the dead of December when it's freezing outside and all I need to do is bake a batch of cookies to get my apartment warm and toasty for the night. Not so ideal when it's 90 degrees outside, I've toasted a piece of bread under the boiler for a like, a minute and have now found myself standing in front of the open freezer door panting like a dog. Yeah. Not exactly my highlight of the season. 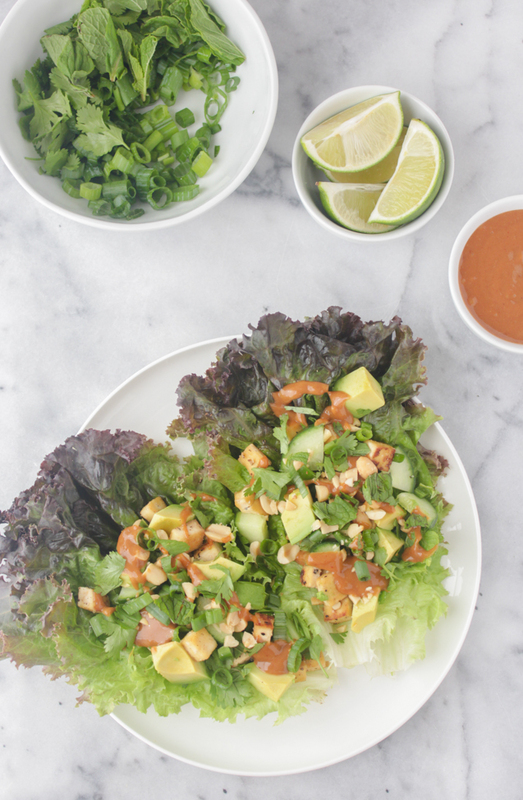 These lettuce wraps are the perfect summer meal because their light and full of veggie goodness, while still being satisfying and filling, no oven required and super minimal stove time. All you need to do is stir fry the tofu for about 5 minutes so it's all crispy and delicious and you're set. The rest of your time is spent staking your lettuce wraps with all the fixings until you've reached total taste and texture nirvana. 1. 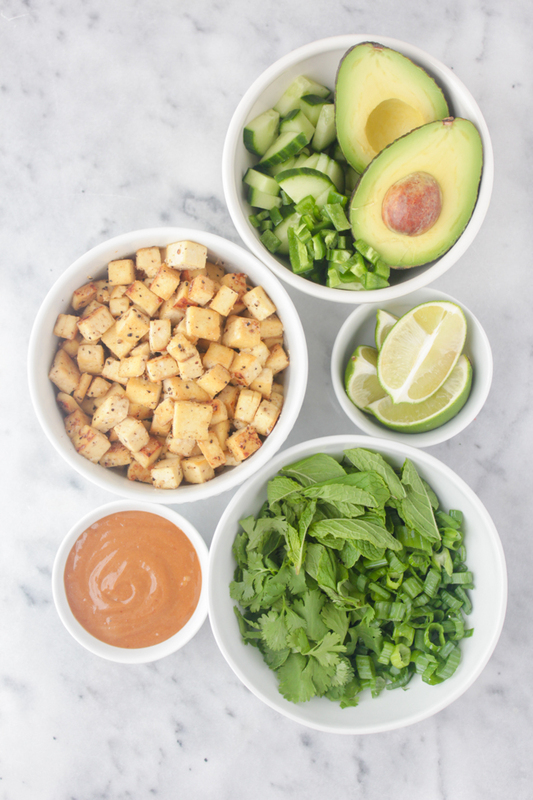 To make the peanut sauce: Whisk all ingredients together in a small bowl, adding more coconut or brown sugar as you go to make it sweeter and more water until you reach desired thickness. 2. Heat the sesame oil in a large pan over medium high heat. Add cubed tofu and sprinkle with garlic powder, salt and pepper. Cook until golden brown and crispy, about 5 minutes. 3. 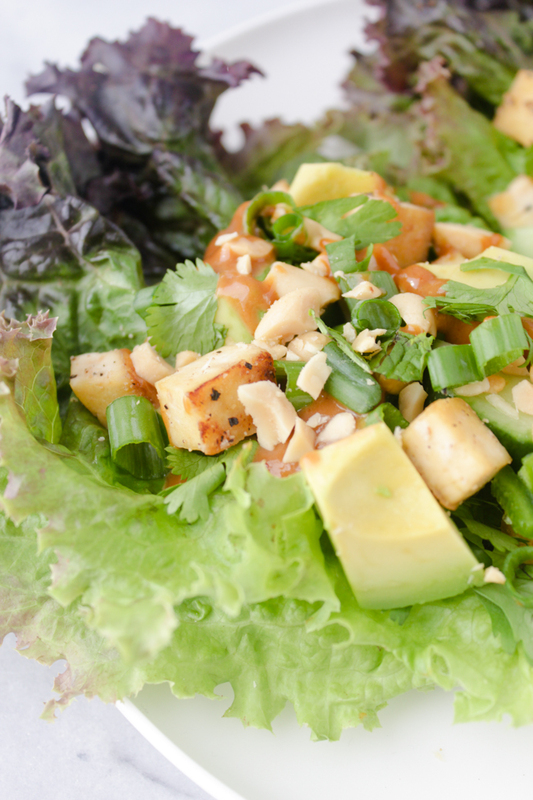 To assemble the lettuce wraps, start with one or two lettuce leafs stacked on top of one another and add tofu, cucumber, jalapeño, scallions, mint, cilantro, avocado and peanuts. 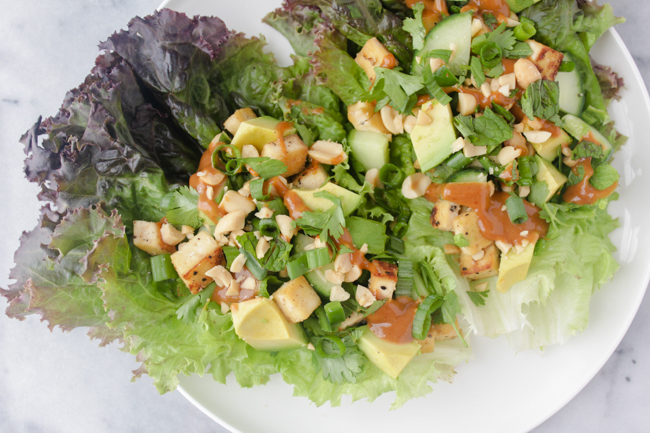 Finish with the peanut sauce and a squeeze of fresh lime. Yes! It is totally all of those things! 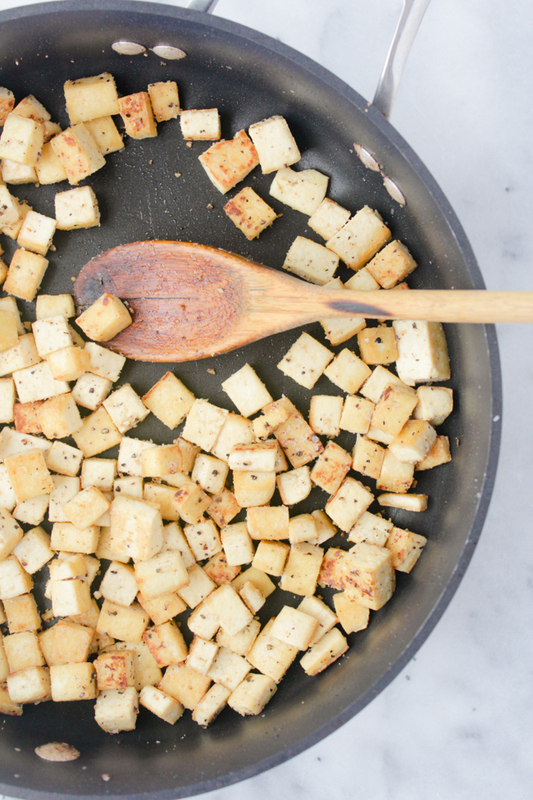 Crispy tofu is such a dream and so easy to make. Hope you give these wraps a try! These look so delicious! How does the tofu keep? Can I re-heat it or will it get chewy? And peanut sauce! Yes please! I definitely want to try these babies! 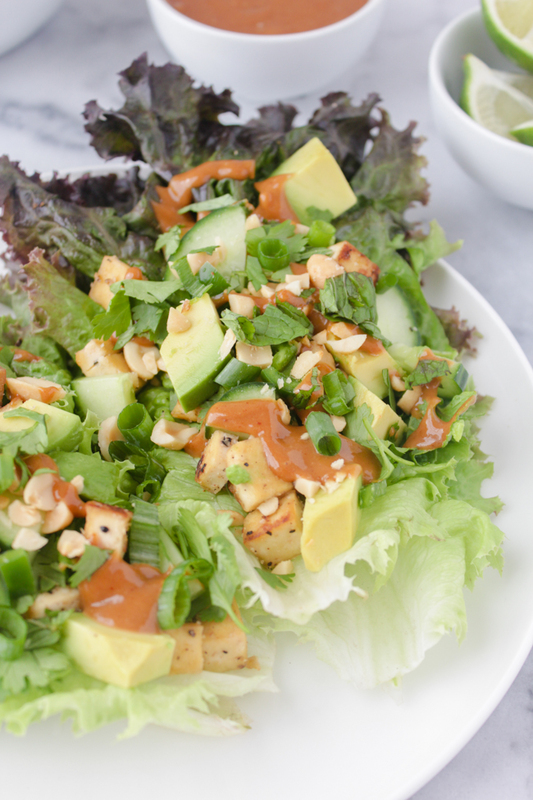 Fresh and easy to make and full of flavor. Our readers would love the see some of these tasty posts at our link party, Dishing it & Digging It link party. The party is live now, every Sunday. They are definitely all of those things! 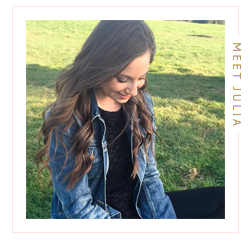 I just checked out your link party and it looks awesome! I will definitely be adding some recipes for the next one, thanks so much for thinking of me! Delicious and Yummy. my mouth watered.